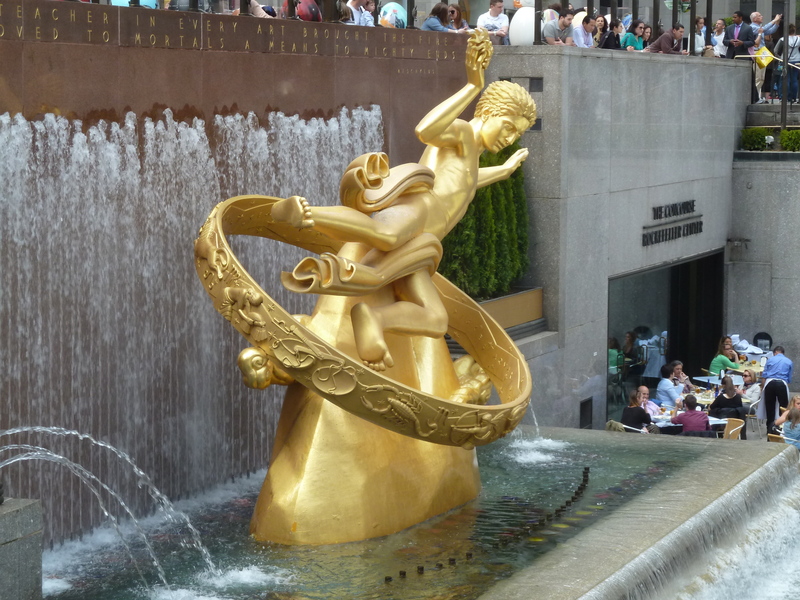 The other day I closed up a small series of posts about the Faberge Big Egg Hunt (and you can click that text if you didn’t see this enjoyable public art exhibit) and since I was in Rockefeller Center I decided to snap a quick couple of shots of their impressive Prometheus statue. 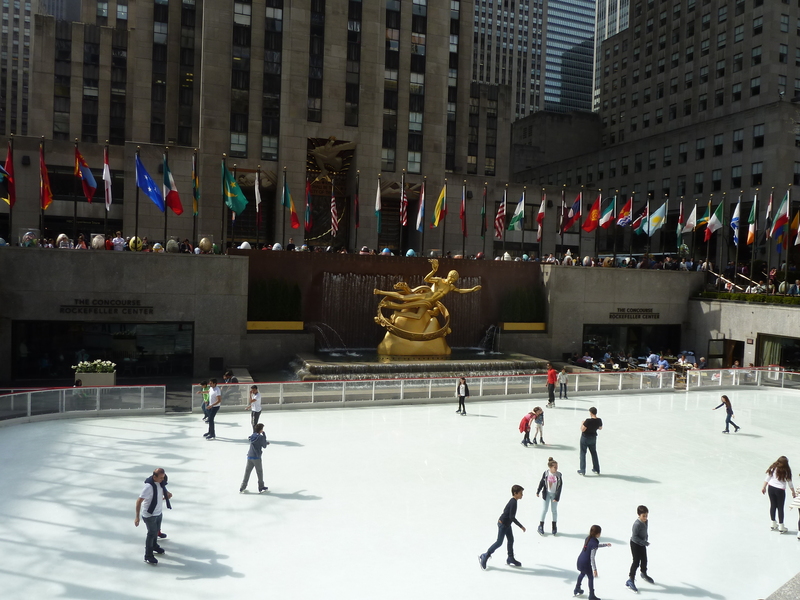 He glides above a fountain and gazes over the ice skating rink and its quite the popular tourist attraction. It’s easy to see why this is the case. 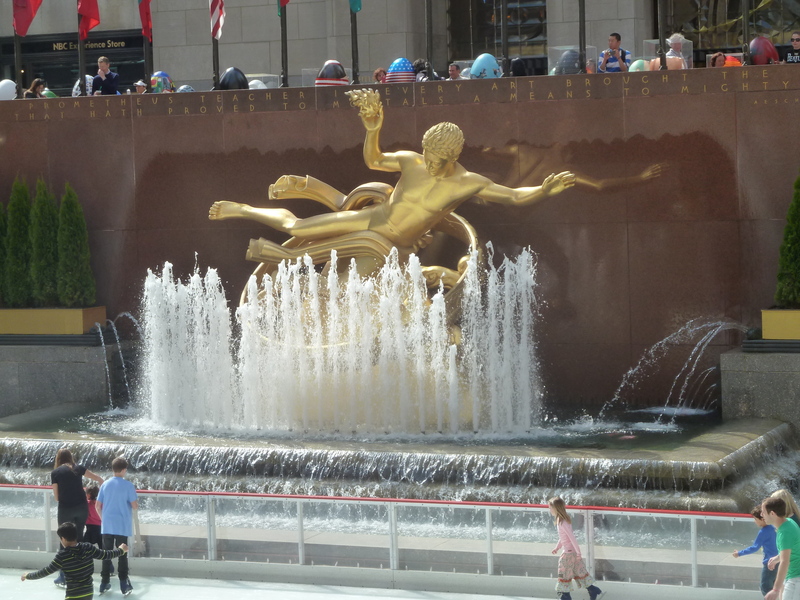 When I shot this we were closing in on Easter as the holiday as my “Faberge Egg Hunt” posts explained and the ice skating rink was still open to the general public so here are a couple of shots from a little father away. Now the main reason that I put this post up was based on what I found while looking though some old photographs that my Grandmother had given me a long time ago and pretty much say inside an envelope after I first looked at them. 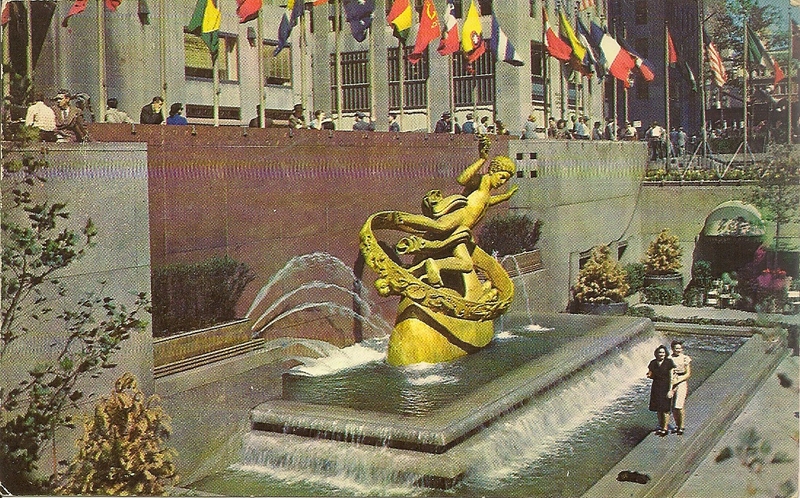 I think I was searching for a military image for use in my Memorial Day feature but instead I found a postcard from this very spot in Rockefeller Center that dates back to the mid fifties so I just had to scan it and share it with you all. Check it out, it’s pretty cool and I hope that you like it. Previous PostPiercingKen Goes On The Big Egg Hunt: Chapter FourNext PostCongratulations To Miss Lena Hall – A 2014 Tony Award Winner!! !